The bass player in the classic lineup of The Dogs D’Amour, Steven James has been part of the U.K. music scene since late 1980s. When the band disbanded in the mid-‘90s, Steven went into the music retail industry, building his own guitars, doing repairs, and becoming an expert in acoustic guitar sales. 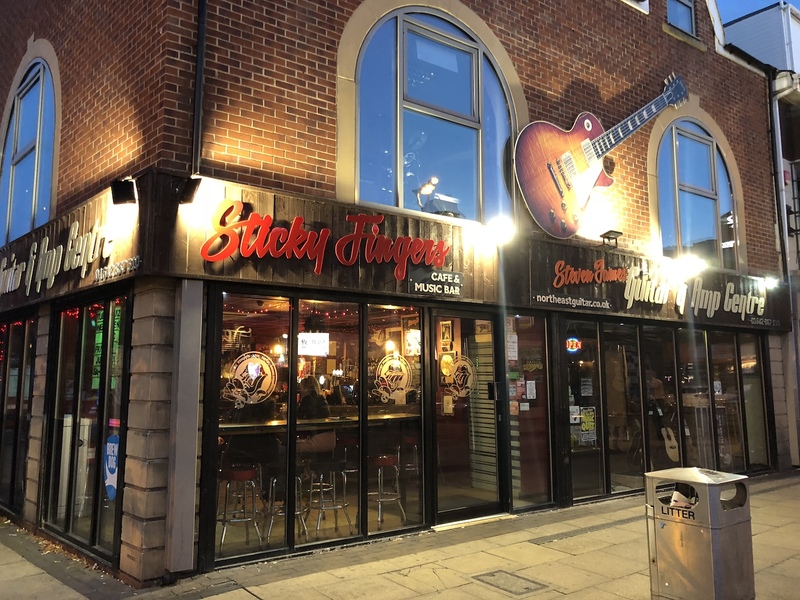 These days, he owns and runs the Steven James Guitar and Amp Centre in Middlesbrough and the adjoining Sticky Fingers rock 'n' roll bar. We spoke to Steven about the origin of the shop, his favourite vintage pieces and the perils of running a rock and roll bar. Keep reading to hear directly from Steven on the competitive origins of his store, his expansion, and one of the more interesting vintage pieces he's come across. Around 2004 or 2005, I asked my son (who lives in Middlesbrough), if there was a decent guitar shop in town. He said that there was just one shop that had a monopoly in the area and they were known for charging extortionate prices. I left the guitar shop that I was working in down South and sold my house in Brighton to come up here. I went into the shop my son had mentioned and saw what he was doing, and thought it was about time that we started up another shop to take him on. So in 2006, we opened one up over the road. As well as selling guitars at competitive prices, I wanted to offer great service, like repairing and building guitars, and I thought this would give us an edge. The first shop was pretty small, and we outgrew that within about five years of being there. The shop we are currently in was on the adjacent corner and used to be a bank. It was a listed building, but for whatever reason it was levelled and turned into a retail unit. 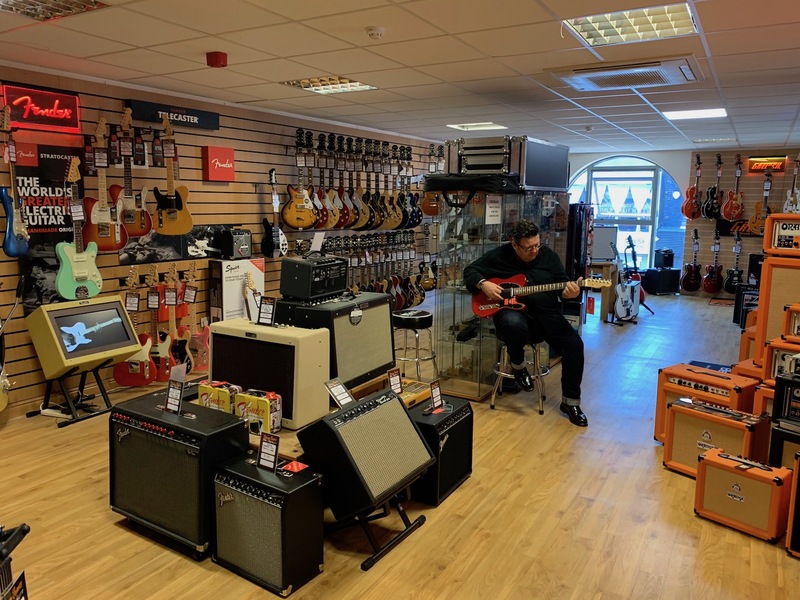 The unit was empty for around five years and I knew it would be a great home for my guitar shop, but we were eight years in to a 10-year lease on our first place. I had a vision for a new shop that included a rock and roll bar, plus an acoustic shop and a whole floor dedicated to electrics. I spoke to some friends in the industry and they told me to just go for it, despite it meaning that I would have to pay for the new lease and pay for the last two years of my existing lease. So we just plunged in, moved into this new shop, put a bar in and it’s just gone from there. Downstairs is a double unit. One is the bar, which is decked out in a similar fashion to a Hard Rock Cafe, with guitars and gold discs on the wall. There’s a big glass door separating that from the other half of the unit, which is our acoustic shop. It’s a great visual, but it does cause problems on a Saturday when there’s football on in town and people are wandering from the bar into the shop a bit drunk and grabbing expensive Taylors off the wall and playing "Ziggy Stardust"! The market is hard right now and a lot of our competitors have disappeared. 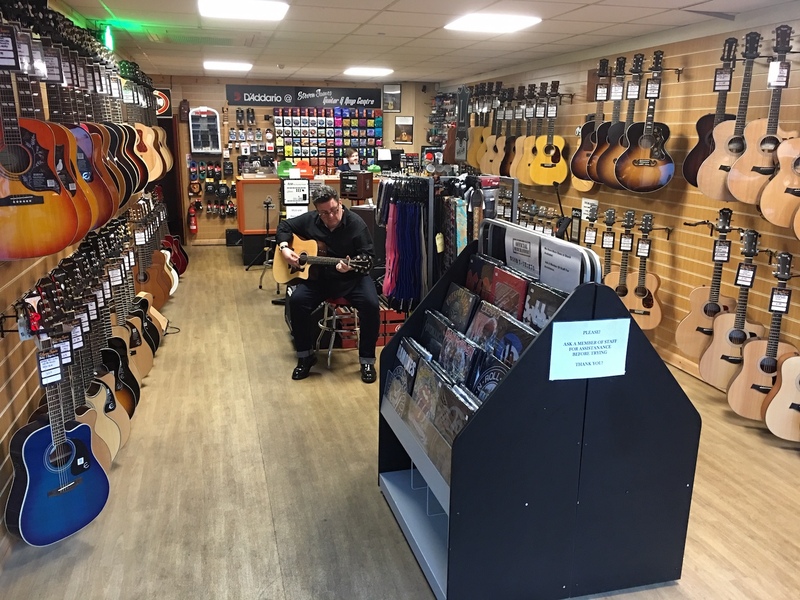 Luckily, we are able to offer a mix of big name brands like Fender and PRS on the electrics and Martin and Taylor on the acoustics, alongside smaller brands like Hagstrom and Duesenburg for those looking for something a little more niche. We tend to stock a huge range of Fender FSR models, which can be hard to find in most shops and offer something unique for our customers. As well as new items, we also carry a range of used and vintage. 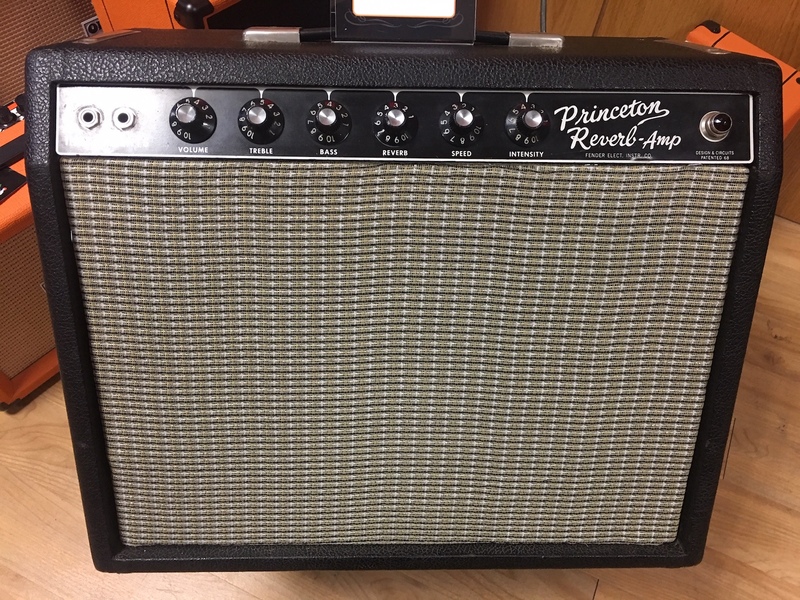 My favourite piece we have in right now is a 1964 Fender Princeton. It came in with a lot of other items from a lady whose father had passed away. You very rarely see vintage Princetons, so I took a chance on it even though it didn’t sound right. I took it to a local repairman who specialises in Fender amplifiers, who took it apart to diagnose the problem. Someone had replaced the original 10" Jensen with a 12" dual-cone keyboard speaker! 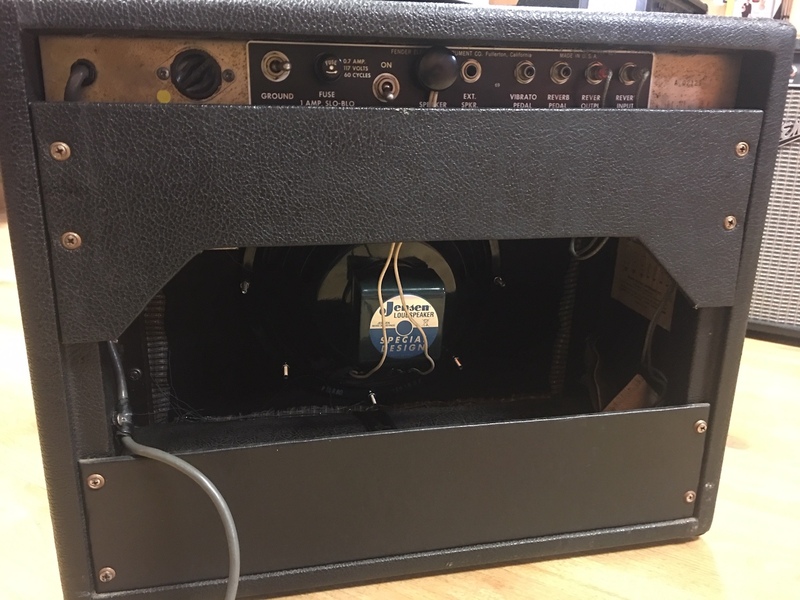 We quickly replaced it with a vintage Jensen, changed the valves and spruced it all up and it’s like a new amp. The reverb tank is incredibly clean and it’s got that lovely, warm valve drive you expect from a vintage Fender. It sounds like a proper Princeton!